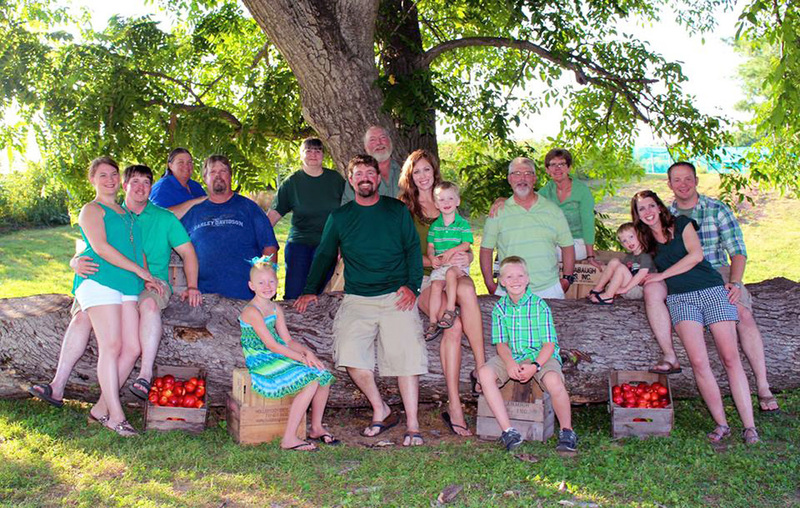 Location: 545 Carlisle Road, Biglerville, Pa.
What is unique about your business: We are a four-generation, family-owned and operated fruit and vegetable farm with a retail farm market. We grow the highest quality fruits and vegetables right on our farm in upper Adams County. Our newly constructed retail farm market boasts an in-house bakery where we make all of our fresh bakery offerings using our home-grown produce, cooking and baking classes, farm tours, an ice cream window featuring locally made, hand-dipped ice cream, family-friendly events throughout the year, and a market filled with delicious and locally produced jams, jellies, butters, cheeses, meats, gift items, and more. Why did you choose to start a business in Adams County? : Twin brothers, Donald and Harold Hollabaugh, had a passion for farming, and purchased farmland in 1955 and began growing a variety of tree fruits. They instilled the love of farming to their children, who have since passed it on to their children. Now, a fourth generation of children, ranging in ages from 10 weeks to 9 years old, is being raised on the farm in the hopes that the same passion for farming and marketing will be instilled in them, too. How do you feel your business is affected by tourism? : Aside from tourism, agriculture is the No. 1 industry in Adams County. It makes good sense that we’d share the beautiful countryside, filled with thousands of acres of rolling hills planted with fruits, vegetables, and row crops, with visitors to the Gettysburg area. Agriculture has changed drastically over recent years, and as consumers become more and more disconnected from how and where their food is grown, it’s our responsibility to help educate them and instill the importance of knowing where your food comes from and how it is grown. Plus, you can have a lot of fun on a farm, whether it’s by sampling wines made from grapes harvested here, to making apple dumplings, to picking apples in the orchard. Farming is fun and everyone deserves to have the opportunity to get their hands immersed in the culture we offer here in Adams County. Favorite visitor experience: We enjoy having folks, whether coming as individuals on family vacations or as groups on buses, take a tour of our farm. The American consumer is increasingly disconnected from agriculture. We pride ourselves on how we grow fruits and vegetables and are excited when we have the opportunity to share that passion with folks who come to tour our farm, young or old. There are so many misconceptions and misunderstandings about agriculture, food and how it’s produced, and what is safe and what is not, that we feel it’s our duty to share what farming is truly like for our family in this day and age. No one has ever walked away from a tour of our farm and commented that they didn't learn a lot or enjoy themselves.